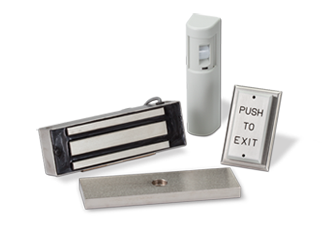 A secure magnetic door lock with many mounting options. 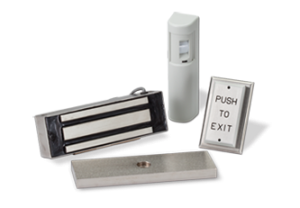 Our DS-1200 Series electromagnetic lock units are ideal for securing manual or automatically operated doors and gates, as they offer the ability to be controlled individually or simultaneously from one or several locations. The rugged design and durable construction of this magnetic door lock assures virtually unlimited actuations without fear of electrical fatigue or mechanical breakdown. 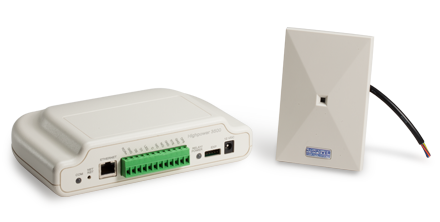 DS-1200/DS-1200-TJ electromagnetic lock units can be used in harsh environments to secure doors and gates. All magnetic lock electronics are sealed in epoxy and are protected by the steel housing cover. 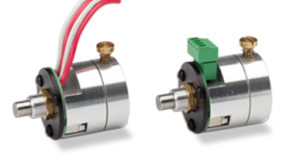 The housing armature and exposed face of the electric lock are nickel-plated to resist rust and corrosion. A rigid conduit fitting can be provided on one end of the electromagnetic lock to protect power wiring in gate control installations. No moving parts to wear, stick or bind. DS-1200 Electromagnetic Lock for Out-Swinging Doors – The standard DS-1200 magnetic lock model is supplied with an adjustable mounting plate for use on out-swinging doors. DS-1200-TJ Electromagnetic Lock for In-Swinging Doors – The DS-1200-TJ magnetic lock unit is furnished with an angle lock mounting plate and an armature “Z” bracket for in-swinging door installations. Any 1200 series electromagnetic lock may be converted in the field for in-swing door applications by adding the angle mounting plate and “Z” bracket. An optional conduit fitted lock is available for exterior gate control applications. DS-1200 electromagnetic locks are available for $199.99. Made in U.S.A.